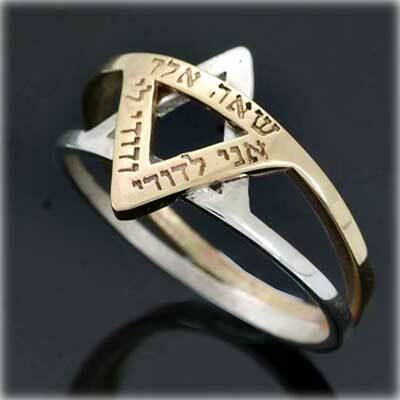 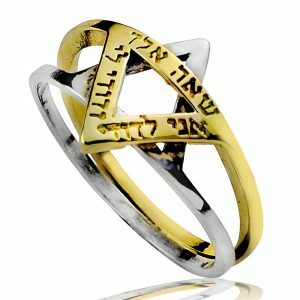 This beautifully designed kabbalah inspired ring is in the shape of the Magen David (Star or David). 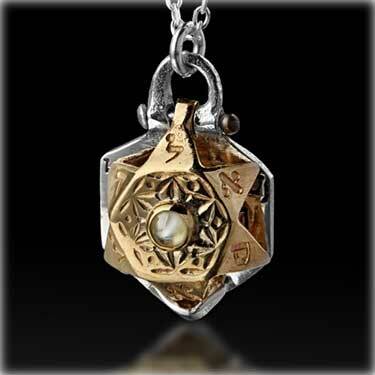 Its shape is made up of two triangles. 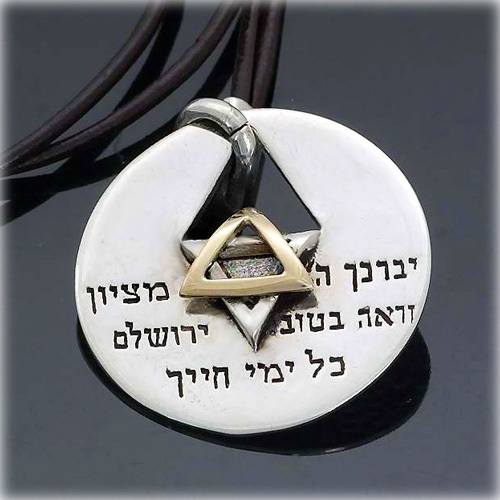 One triangle represents the biblical tribe of Judah and the other the tribe of Benjamin. 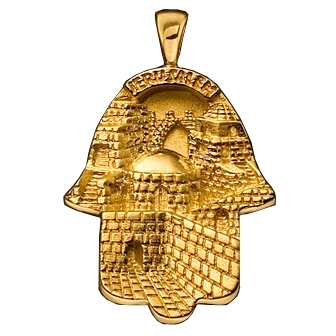 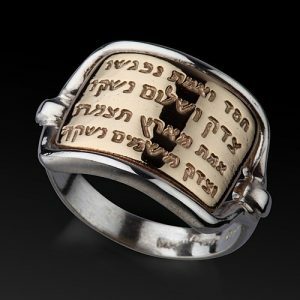 The 9K gold part of the ring is inscribed with the Hebrew verse taken from the Song of Songs (6:3) written by the wise King Solomon. 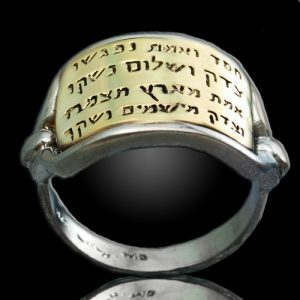 “Ani Ledodi Vedodi Li” (Means “I am to my beloved and my beloved is mine”). 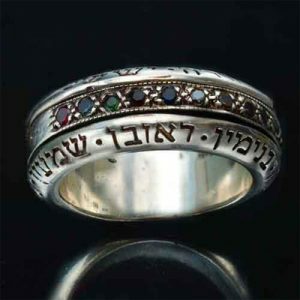 Above this inscription, is engraved with two of the 72 names of G-d. 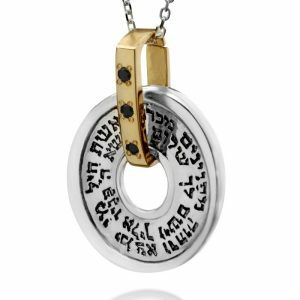 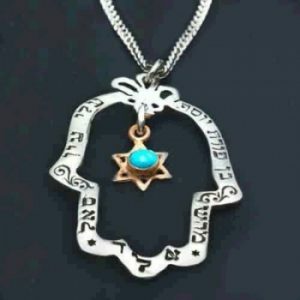 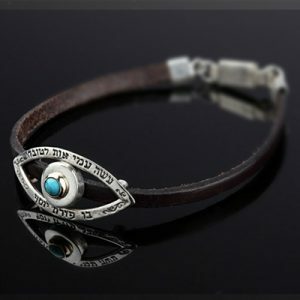 The first letter combination Shin-Aleph-Hey (ש א ה ) is associated with finding your soul mate, and the second combination Aleph-Lamed-Daled ( א ל ד ) provides protection from the evil eye. 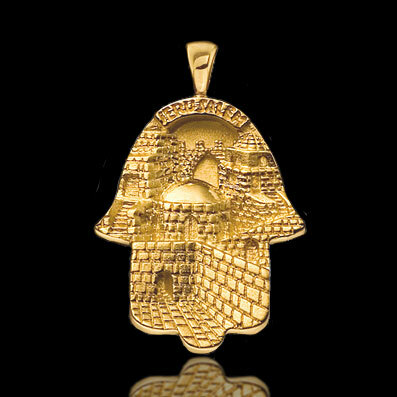 A perfect gift for a special person in your life.